A new report from Working America found that black Ohioans were suffering economically during the 2016 presidential election—but did not think a Democratic president would make a difference. If black Democrats in Ohio fail to vote in larger numbers in the next midterm elections than they did in 2016, Democrats can kiss the state goodbye. 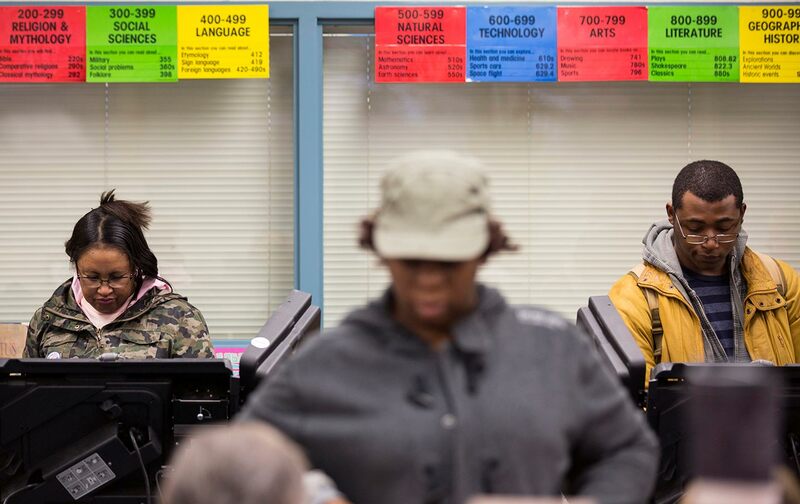 That’s what Working America has concluded in a report released Tuesday that assessed the views of black voters in the Buckeye State and made recommendations for how Democrats turn out more of them at the polls. The organization, a political organizing wing of the AFL-CIO focused on the non-union working people, found, unsurprisingly, that black people have very little trust in the political process. The mainstream media—from the nightly news to digital outlets—largely failed to predict that Donald Trump would win the primary, let alone, take the presidency. But Working America had a clue. “In January 2016, when most people still thought Donald Trump was a carnival distraction, our canvassers picked up the tremors of the political earthquake that would hit 11 months later,” Matt Morrison, co-executive director at Working America, told The Nation in an e-mail. “We sent our field canvassers into working-class neighborhoods in Cleveland and Pittsburgh to understand Trump’s appeal and the impact of his right-wing rhetoric on swing voters. Those conversations spelled trouble ahead for Democrats.” The canvassers found that, even though half of the people Working America spoke to hadn’t completely made up their minds about whom to support, Trump was favored by more than a third of those who had chosen a candidate. In fact, Working America found that one in four Democrats who had chosen a candidate preferred Trump. Working America saw the writing on the wall. Now the group is back at it, taking the temperature of how black Ohio voters are feeling about the Trump presidency and what their main political concerns are. They’re hoping that their research can spark investments in political organizing before 2018. Working America doesn’t conclude that black people are less engaged than their white counterparts. Rather, they don’t have the same relationship to “the Resistance” as a movement. “The lack of recognition among the people we spoke with is likely due to the nature of the term ‘resistance,’” said Morrison. “The voters recognize the actions, but if the goal is to make the Resistance as effective as possible, the new energy needs to connect affirmatively with communities who have been resisting for a while.” And the Resistance will need to find ways to include those for whom time is at a premium. A theme among those who were canvassed was that they said they were too busy at work to engage in political action or that they were too busy looking for work. But there are ways to prevent the fall-off in black voter turnout that occurred in 2016 from happening again. Working America has three key suggestions to increase the black vote in central Ohio. The first is advice for progressive politicians: “Forcefully advocate for an economic agenda that serves working-class voters, including black voters, who say their primary concern is jobs and the economy.” The second is directed towards political organizations: “Reach out right now to African-American voters at their doors and keep working through 2018.” And the third strategy to take back Ohio is to harness activism in the black community and to highlight and fight against voter suppression, which impacted black Ohio voters in the 2016 election. Working America’s interviews suggest that disapproval of Trump is widespread. Patricia, who is 72 and from Columbus, said she was “disgusted” by the support for Trump that persisted even after his various racist and sexist comments were made public. But that anger must be harnessed to create action—and turn out voters. If the Democratic Party keeps taking black voters for granted, they’re unlikely to take back Congress, or get back into the White House, anytime soon.